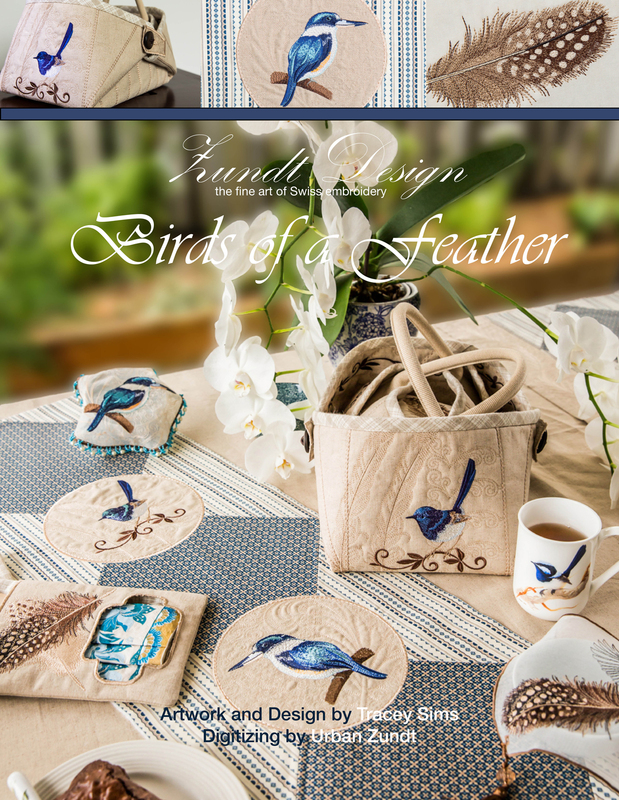 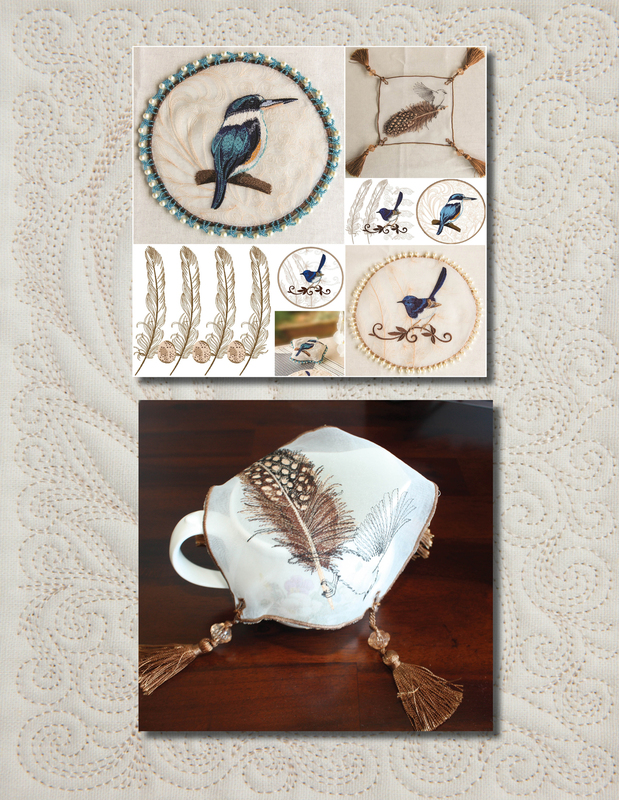 This project book and CD includes 28 stunning designs including a Fairy Wren, Kingfisher and a sweet little robin, some feathers and stunning quilt in the hoop designs to name a few. 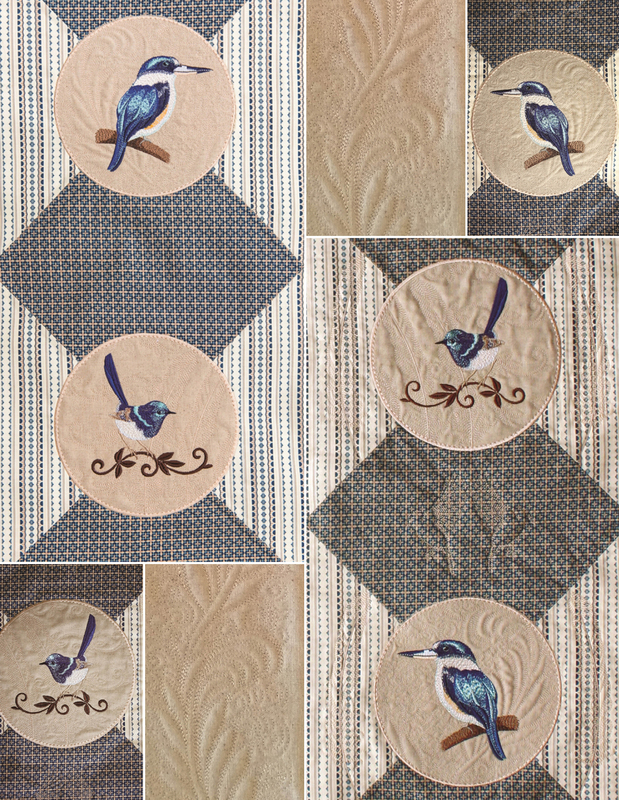 The projects include a beautiful quilt, picnic basket and place mat, napkin and cutlery holder and more. 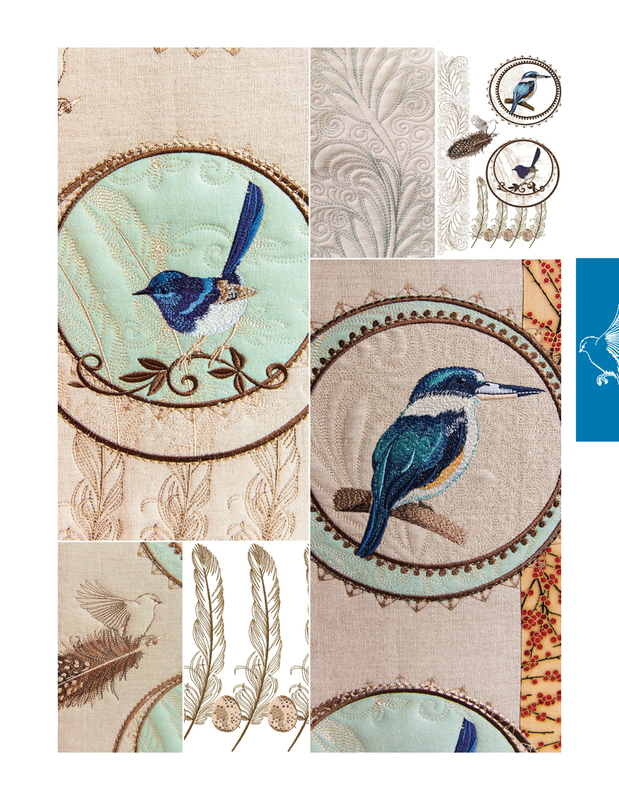 Our new Metallic Aqua Thread has been used extensively throughout this book.